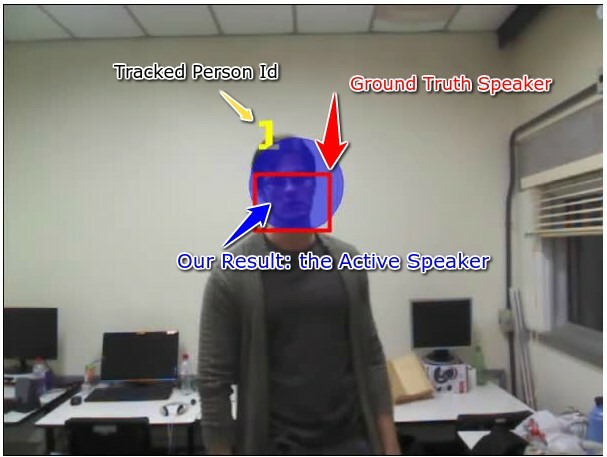 Any multi-party conversation system benefits from speaker diarization, that is, the assignment of speech signals among the participants. 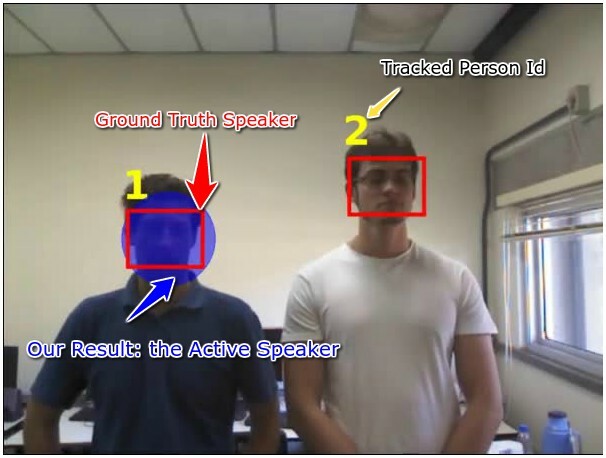 We here cast the diarization problem into a tracking formulation whereby the active speaker is detected and tracked over time. 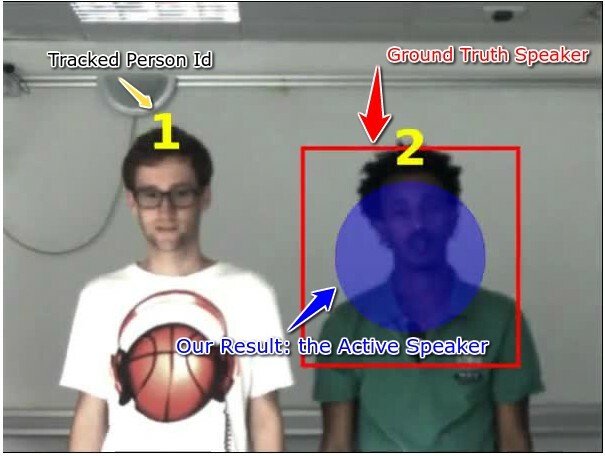 A probabilistic tracker exploits the on-image (spatial) coincidence of visual and auditory observations and infers a single latent variable which represents the identity of the active speaker. 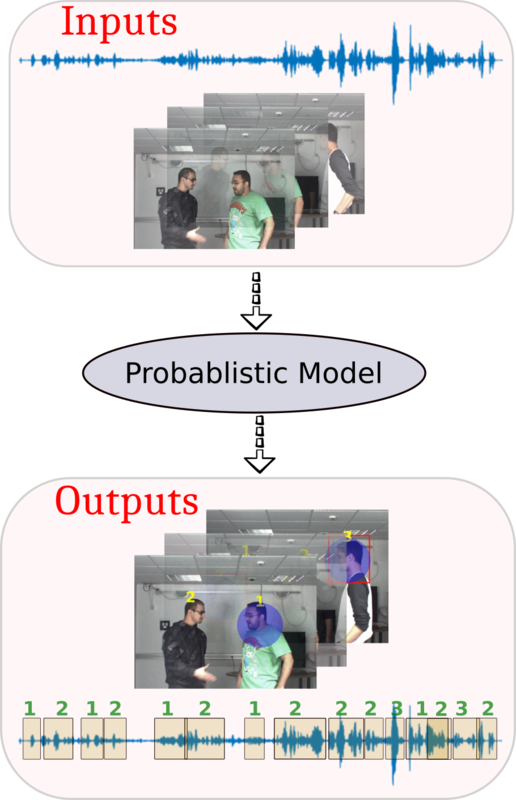 Both visual and auditory observations are explained by a recently proposed weighted-data mixture model, while several options for the speaking turns dynamics are fulfilled by a multi-case transition model. 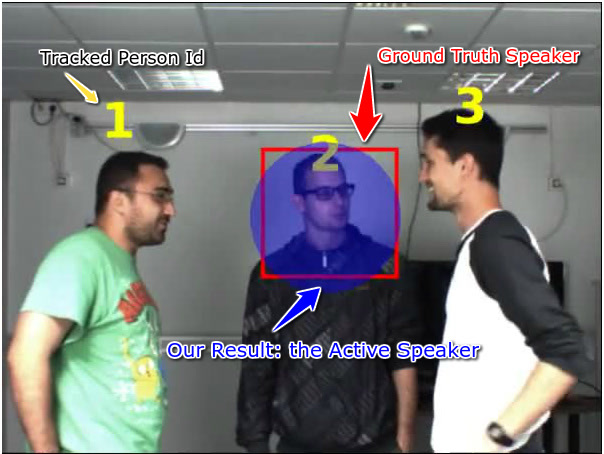 The modules that translate raw audio and visual data into on-image observations are also described in detail. The performance of the proposed tracker is tested on challenging data-sets that are available from recent contributions which are used as baselines for comparison. The AVTrack-1 dataset related to this work can be downloaded from here. Matlab code to reproduce our result is available upon request. Below are some of our results on AVTrack-1 dataset.